Star Trek actor Anton Yelchin has died today from a freak accident. He was 27 years old. According to TMZ, he was found at his house in San Fernando “pinned between his car and his mailbox.” At this time, police don’t believe that there was any foul play involved and think that the actor’s death was accidental. Apparently his car was still running when he was found and the engine was in neutral, but it’s not clear yet what exactly happened. 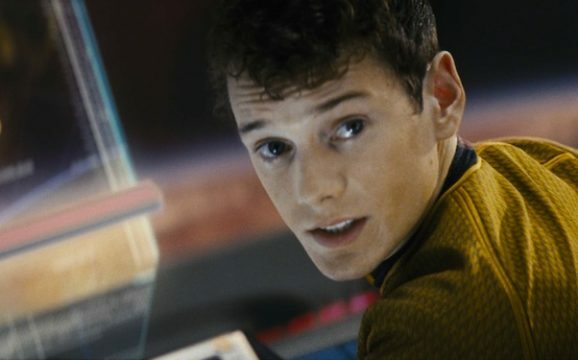 Yelchin was a talented and well respected actor, having broken out in films like Alpha Dog and Charlie Bartlett before clinching a role in J.J. Abrams’ Star Trek reboot as Chekov. At the time of his death, he still had several projects in various stages of development, including the upcoming Star Trek Beyond, and was last seen in the excellent horror film Green Room. A true talent and always a joy to watch on screen, Anton Yelchin will be sorely missed. Our thoughts and prayers are with his friends and family at this difficult time.